Today, when most chain stores are stocked with mass-market cosmetics full of harmful synthetic ingredients, natural personal care products are becoming increasingly popular. Cosmetic companies that specialize in producing natural and organic products combine traditional beauty recipes with modern technology to create safe and effective cosmetics. For example, Ukrainian beauty brand Mirelin offers dry powdered cosmetics for skin and hair care. Its products contain exclusively natural ingredients and are environmentally friendly. 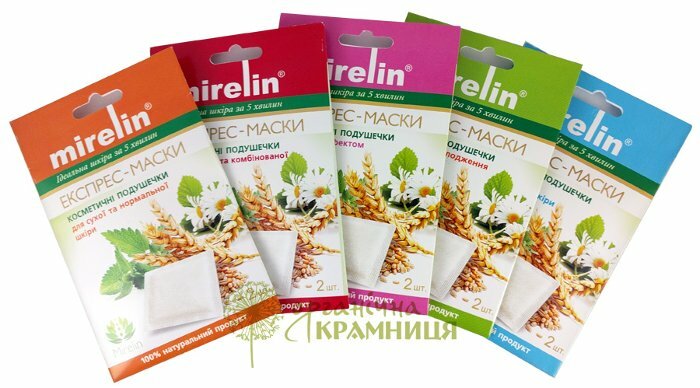 Mirelin is a Ukrainian beauty brand based in the city of Rivne. Founded in 2012, it has become quite popular among local consumers who prefer natural, sustainable, and affordable personal care products based on natural ingredients. There is nothing surprising about it because Mirelin cosmetics are based on 3 main principles that are important for modern personal care products: they are 100% natural, highly effective, and easy to use at home. Mirelin offers several product lines for skin and hair care. The first line comprises unique express face masks. Each mask is a sachet filled with dried and powdered medicinal herbs that produce a refreshing and rejuvenating effect on the skin. A 5-minute express mask has the same effect as an hour-long treatment in a beauty salon. It visibly improves complexion and makes the skin look fresh, healthy and radiant. The second product line offered by Mirelin consists of home and professional scrubs that have a delicate yet visible exfoliating effect. They easily remove dead skin cells, stimulate skin regeneration, provide the skin with nutrients, and restore its natural beauty and health. The line includes face, hand, foot, and body scrubs. Finally, the third product line by Mirelin comprises conditioning hair rinses in sachets. Each sachet contains a mix of powdered medicinal plants and oil cake, a protein-rich ingredient obtained from sesame and amaranth seeds. All you need to do is brew a sachet, let the water cool to room temperature, and then pour it over your hair after shampooing. Mirelin hair rinses have a great conditioning effect, they restore the natural shine of the hair and make combing and styling easier. All cosmetics produced by Mirelin comply with the state standard of Ukraine and meet rigorous quality requirements. But you shouldn’t think that high-quality necessarily means expensive. Mirelin products are affordable and available to a wide consumer audience. You can buy them in our online shop Organic Store. We offer convenient payment methods and deliver internationally to any country within the jurisdiction of the UPU.